on What my writing Isn’t | Malmaxa. Another View, of True ©. Someone on Twitter was kind enough to send me a comment via DM about her reasons for deciding not to read my work. Essentially this post encapsulates her comment and my reply, which she entirely motivated. 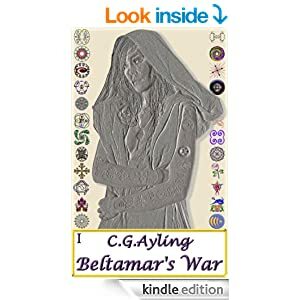 Beltamar’s War, and the series it begins, is the work in question. As there isn’t a genre whose description correctly defines precisely what Malmaxa is about I was forced to choose the closest mismatch, which is “Fantasy”. So, am I saying my work isn’t Fantasy? Yes, I’m saying precisely that – Malmaxa is not Fantasy. Unfortunately, to grasp what Malmaxa is you’ll have to read it for yourself. And no, that isn’t an artfully designed sales pitch – read the reviews to see how others perceive my work. In order to let me to reciprocate, I use a free program called CrowdFire to monitor who follows and unfollows me on Twitter. One of CrowdFire’s features is the ability to send a message to new followers. Please note this welcome message is the sole method of automation I use on Twitter, everything else is manually me. And with the preamble done, back to meat of this post. I think you should reconsider. 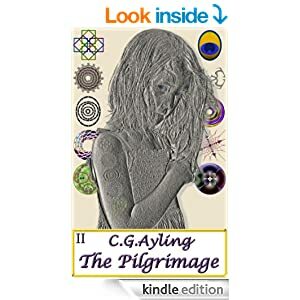 I use Fantasy as a means to place people in situations within which they can suspend disbelief and allow their minds to consider fundamental questions of the nature of right, wrong, and human motivation from a viewpoint other than their own. My work isn’t about fireballs, obvious evil, ultimate good, and supernatural beings – it is about human relationships, their incredibly complex interactions, and the obscure little things that make us do the seemingly inexplicable things we do. Regardless of whether you decide to read further or not, thank you so much for taking the time to reply. I truly appreciate how valuable our time is, indeed I am saddened so few of us do. Thank you for spending a little of yours on me. This entry was posted in General and tagged Beltamar's War, malmaxa. Bookmark the permalink.